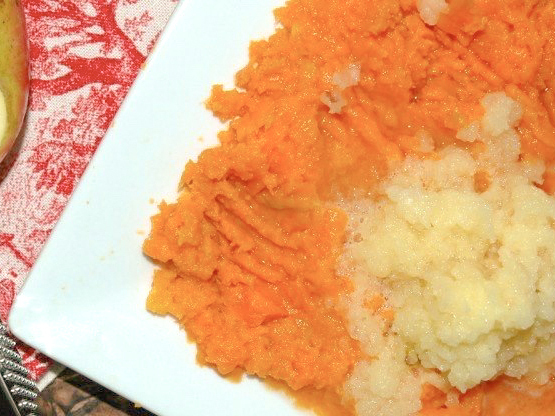 This yummy sweet potato and apple mash was, by far, one of my kids’ favourite first foods. 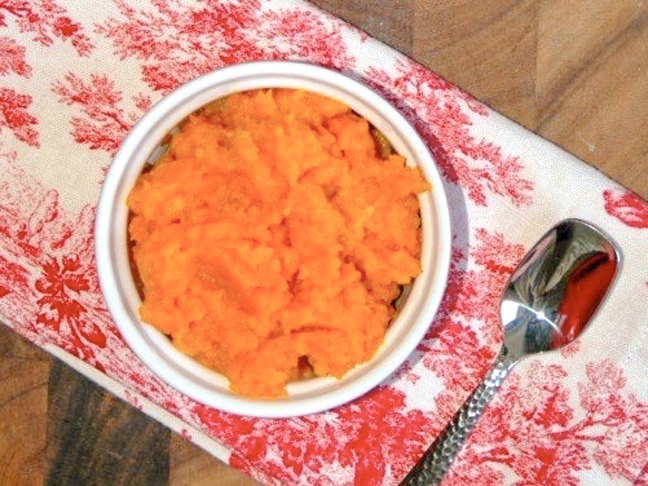 The combination of creamy sweet potato with the hint of earthy pumpkin pie spice makes for a delicate-tasting, nutrient-dense puree to offer baby from six months and older. The addition of raw, grated apple gives the rich flavour of the sweet potato a burst of freshness and cuts through the richness of the dish. Since this recipe is full of traditional fall flavours, it would be the perfect accompaniment to baby’s Thanksgiving meal. 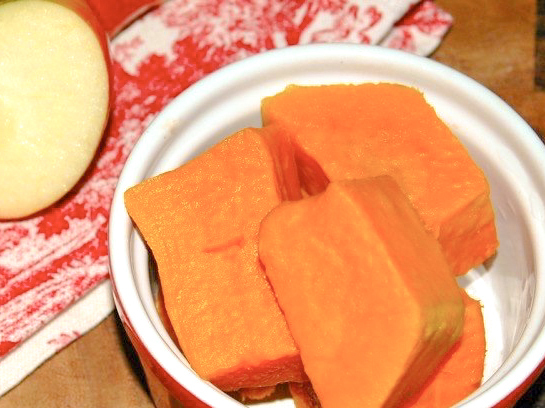 Sweet potatoes are a great source of fiber, B6, and potassium, and have a low glycemic index, while apples are packed with fiber and vitamin C.
Step 1: Cut sweet potato into eighths. Steam or boil in a pot of water for 15–20 minutes or until fork tender. Drain and set aside until cool to the touch. Step 2: In the meantime, peel the apple and halve and remove the seeds. Grate directly onto the sweet potato. 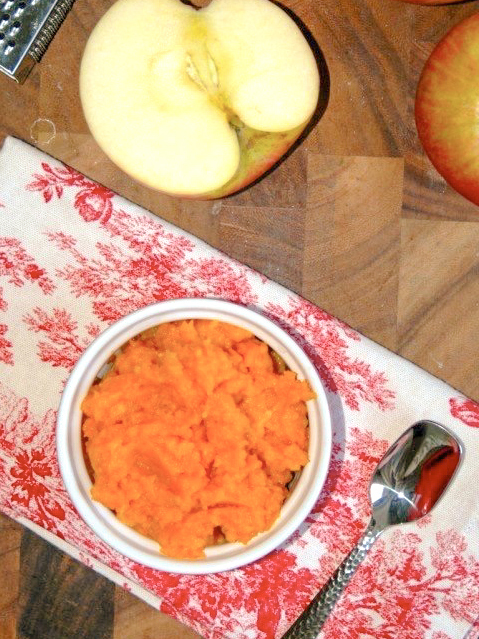 Mix the sweet potato, apple, and pumpkin pie spice until combined. If you prefer a smoother, not so dense consistency, add formula or breast milk,1 tablespoon at a time, until you get the desired consistency.